For MS Dhoni and co., the SCG loss is their sixth one on the trot away from home and India are trailing 0-2 in the 4 match series against Australia. Like in Melbourne, Sydney too was a disaster with a nothing performance to watch. Yet based on individual performances, India can take both positives and negatives to ensure that they pose a fight back at Perth and hope to level the series above the odds. 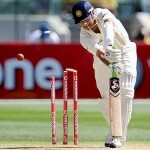 Gambhir had an average Sydney outing, if not a poor one. In the first innings, it only took him the first three balls of the match to lose his wicket to the fiery James Pattinson. Pattinson took advantage of Gambhir’s weakness of playing a good length ball outside off-stump so far in the series and it yet again led to his downfall and with that, India’s as well. He did not have much to show in the field, but in the second innings when India was trailing by 468 runs, Gambhir showed his class as one of the best openers in modern day cricket. Under pressure, he produced a well-crafted 83 which eventually was the top-score of the Indian innings. He began aggressively, which is what he knows best by hitting boundary after boundary. As a result, he bought up his 50 off just 54 balls and it was only because of the fact that he intentionally decided to play till stumps on day 3 that his strike rate drastically fell. Although he could not help India win the game, he will retain his place for the Perth Test surely after that fifty but he needs to convert into a big score to increase in confidence and India’s chances of winning. Sehwag’s tour just like India’s has gone from bad to worse. His performance in Sydney is a pale shadow of the Sehwag bowlers fear over the world. Although he scored a 30 in the first innings, he was edgy throughout the first session of play with the Aussie bowlers tempting him to play his shots. He finally nicked at one from Pattinson who was having a blast bowling to the Indian batters and was the third wicket to fall in the innings. Viru did not learn from his mistakes in the first innings and when India needed him to fire desperately in the second innings, he once again slashed a ball fractionally short outside off and his Delhi Daredevils opening partner, David Warner took a spectacular catch at point to dismiss him and give Ben Hilfenhaus his first out of his five wickets in the innings. In terms of his bowling, Sehwag could not stop the Australian juggernaut with Michael Clarke looking to attack him time and again and was used by Dhoni more to increase the over-rate rather than picking wickets. Sehwag had yet another ordinary game but a fast pitch at the WACA is all what he needs to get back at his destructive best. History is on his side as it was on this ground that he made a successful comeback into Test cricket four years ago with an impressive fifty in the first innings. Dravid scored the same amount of runs as Sehwag throughout the Test match. He was attempting to spend time at the crease but failed to make a substantial score as in the first innings, but was unfortunately the victim of a good reflex catch by Ed Cowan at bat pad after he tried to flick a pitched up ball on leg stump off his pads which he is usually food at doing. He tried to make up for his failure in the first innings but at 29, his efforts were shattered by Hilfenhaus who was on a roll in the second innings. The malaise of getting bowled did not escape ‘The Wall’ as he was done in by a ball swinging into him and his offstump was rattled since he once again left a gap between bat and pad. That was a crucial wicket because if Dravid would have scored a fifty, there would have every possible chance that he could have converted it into a hundred since he needs one good innings to be consistent again. Dravid, the great yet humble batsman that he is will focus on practicing harder to ensure that he is not dismissed in similar fashion like at the MCG and SCG and that is what Indian fans will be hoping for, as he is the key man for the team’s revival. The Little Master once again outshone the other batters of the team on this tour with consistent performances at the SCG. Although he could not score a ‘customary’ hundred this time around at this ground, he was the only man putting up some sort of fight for India. The signs were ominous in the first innings to finally witness the ‘100th’ 100 of the great man as he played some extravagant shots and put some pressure on the Aussies with boundaries. However on 41, he was bowled off an inside edge off the young Pattinson and was a tad unlucky to have been dismissed in that way as on another day, Tendulkar would have punched it through the covers. The second time around, it was looking as if Tendulkar was inching much closer to the milestone but his rampage was stopped by the Australian captain, Michael Clarke to whom this Test actually belonged. After bravely declaring when he was batting at 329, Clarke decided to bring himself into the attack as another surprise for the Indians to face and his tactic worked gloriously. He made Tendulkar stride forward to a ball bouncing a bit outside off and it hit the outside edge of his bat to first slip as Michael Hussey gratefully accepted the catch. After he was out, India lost their last six wickets for 104 runs. Though it should be now a matter of time before Sachin gets his century and finally bring some smile to the Indian fans on what has been a wretched tour so far. This was the first failure for the ‘Very Very Special’ Laxman at the SCG. In his previous tours, he has managed to score a century when playing here. However, this time it was not to be as he is not in his prime at the moment and is struggling to make a big score. Like the others, Laxman has to take a fair amount of blame for the batting debacle in the first innings as he was again dismissed for a meager 2 with clear signs of aging showing his batting. He was extremely late in defending a ball outside off and the ball flew off the edge of his bat to give Shaun Marsh a catch at third slip off the fast Pattinson. In the second innings however, it seemed like Laxman was playing a similar knock like he played at Durban last year to help India win a Test in South Africa. He seemed more assured in his shot selection and stayed put as Tendulkar scored the bulk of the runs. But on 66, there was an error of judgement from Lax as he was comprehensively bowled by a straight ball on the off-stump from Ben Hilfenhaus. That fifty should give him some confidence but on a faster pitch at Perth, he has to be cautious in his batting approach as he is under severe criticism still for not taking enough responsibility for his team on this tour. This will be perhaps his penultimate if not the last opportunity to shut his critics’ mouths. Usually for any cricketer, to play at the Sydney Cricket Ground is an honour. However, Virat Kohli would love to forget this honour he has had as quickly as possible after another disastrous Test match for him. His story is the same as any other Indian youngster playing in alien conditions. He cannot possibly handle the bounce Australian pitches have to offer, and this point is evident in his dismissal in the first innings when he came on the front foot to a ball outside off and had steep bounce, but the ball kissed the top-edge of the bat and Haddin took another regulation catch, giving the competitive Peter Siddle another Test scalp. A score of 23 may seem okay in a final team total of 191. But all was not okay in the second innings with another single-digit score for Kohli. Although this ball from Pattinson came back in sharply due to a slightly big crack on the pitch, Kohli fell over and was adjudged lbw for 9, this will go down as his incapability not to score big in the longest format of the game. He is under severe pressure now to retain the No.6 spot and in all probability, Rohit Sharma might make his Test debut at Perth. Besides, there were more antics from him on the field. While his fielding skills are evergreen, his behaviour was not a joy to watch as he showed the middle-finger to one of the fans in the crowd after he heckled him while he was fielding at the boundary. It not only created a stir in the Australian and the Indian press, but he also had to lose 50% of his match fees as a result on a hearing with the match-referee. Dhoni is having a tough time on this tour as well and he is responsible to an extent for it. Firstly it is because of his captaincy. He has been astonishingly defensive so far in his approach, and that is not how teams win Test matches in Australia. His passiveness has resulted in him waiting for things to happen, rather than making them happen. He needs to fire the team up and be inspirational yet aggressive in his strategies if India have to draw level or atleast win one Test in this series. While as a batsman, he did score a gritty 57 in the first innings and remained unbeaten till the end, even as the others fell in quick succession. He looked positive throughout the knock and that is when he bats to his potential. It is commendable for him to play such an innings considering the fact that he does not possess a fine-tuned Test match technique and has to bat as low as No.7, which is when tailenders are usually his partners. However, he broke a billion hearts in the second innings after he was given out caught and bowled to the fired up Hilfenhaus for just 2 runs and that opened up the tail for the Aussies. Perhaps he was psychologically scarred after the pounding Clarke, Ponting and Hussey gave the Indians. This is his last opportunity for redemption as he has been questioned for the first time in his career about his leadership away from home now that India is losing in Australia as well and not just England. This is his true Test and if he can survive, it will assist in salvaging the nation’s pride. Ashwin is also facing a test of his abilities in the most unfriendly conditions for him. He had no luck whatsoever with the ball, after he was hit for 157 runs in 44 overs without a wicket. Michael Clarke, who is usually an exceptional player of spin bowling, played him tremendously and Ponting too took advantage of some of his sloppy deliveries while Hussey attacked him with panache. However, he proved that he is a fine all-rounder in the making with solid batting performances in both the innings of the Test match. He has shown his capacity to bat previously with a century against West Indies and two scores of 30s in the MCG Test. He managed to score 20 in the first innings but this number does not suggest the fact that he showed good technique as to how to bat in Australian conditions, something which the batsmen could take a cue from! While in the second innings, he improved drastically by scoring an out-of-the-blue fifty despite wickets falling at the other end. He was the final wicket to fall as Australia struggled a little to get his wicket as Ashwin did play with them with some superb strokes, especially those nudges off the backfoot. But India needs Ashwin the bowler to fire more than Ashwin the batsman. It is anticipated that his misery will continue at Perth, and it will take an extra-ordinary spell of bowling from him to regain his confidence. India’s premier strike bowler was once again the most outstanding of all. 3 out of the 4 Australian wickets which fell belonged to Zaheer. He had Australia panicking at 37/3 at one stage, taking maximum benefit of Shaun Marsh’s poor form, Ed Cowan’s inexperience and David Warner’s temperament to bat in Test cricket. Zak proved why he is amongst the best to bowl to left-handers in the contemporary era. However, after that it was all Australia as their experienced batsmen made full use of ever-improving batting conditions. Zaheer was made to toil despite bowling some good deliveries. He was the third bowler to cross the hundred mark in the innings and must have been glad when Clarke declared at 659/4, while he could have batted more for his 400 and let Hussey get a double hundred too. Batting-wise, Zaheer made another duck in his career in the first innings but in the second innings he decided to go all out and started slashing the ball away. His 26-ball 35 provided fans some entertainment in an otherwise one-sided affair and made India reach 400, which was looking unlikely at one stage. He is just fine in terms of his bowling but Dhoni would want him to pick more wickets at Perth which would be more bowling-friendly conditions. I kept trying, but I failed in the end. That is what Ishant will describe his performance at the SCG as, if asked. It was one of those Tests that he did not get any assistance from the wicket and consequently was hammered to all parts of the ground. He was not helped by Dhoni’s stunning captaincy while Ishant is more menacing when he bowls to an attacking field due to his pace. He did get Ricky Ponting out once again in his career when he was batting in 134 and looking to make a big knock after a long time, but it was kind of a fortunate breakthrough as Ponting cut the ball which was slightly in the air and Tendulkar held on to a catch at point. He was expensive in his overall figures as he went for 144 runs altogether, and sarcastic cheers from the Australian fans did not help boost his morale as he even began sledging on the field to both Hussey and Clarke, when they did not seem to lose their wickets. By far the poorest performance of the match came from this man. He had raised the expectations of everyone after a terrific outing at the MCG, but his inexperience was clearly highlighted at the SCG as he could not bowl at his pacy best in conditions favouring the batsmen more. He was smashed for 123 runs in his 24 overs, as Clarke attacked the youngster to put pressure on Dhoni to keep changing his bowlers on a regular basis and Yadav was a victim of good batting and bad captaincy. He showed that he is a work in progress and a lot is left to be desired about his bowling at the Test level. But he would desperately want to make amends in much friendlier conditions at Perth where he can bowl fast to trouble even the best of batsmen. He can gain inspiration perhaps from Ishant Sharma’s deadly spell to Ponting at the same ground four years ago.